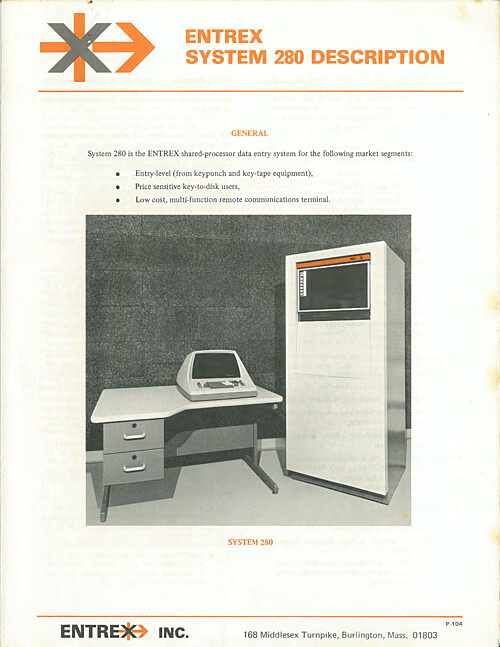 Two brochures for the Entrex System 280. One description and one price performance evaluation. Thank you for making these available! I am researching all I can learn about these Entrex systems from 1970-1977, the 280, 380, 480, 600-series, and the Data/Scope terminals. Where did you acquire these? Would you happen to have any more like this? I’ll be featuring them on the Documentation page of my site, if that will be OK with you. I hope this helps someone who might be interested in saving or restoring these systems. Thank you.